Kaizer Chiefs football manager Bobby Motaung was lucky to walk away unscathed when four gunmen shot at him and his driver outside a pub in Atteridgeville. According to the Sunday Sun, the incident happened after the first leg of the MTN8 semi-final match between Chiefs and SuperSport United. The Chiefs boss was leaving the pub when it happened. “I went to unwind with my cousin on Sunday after the match, together with my friends. 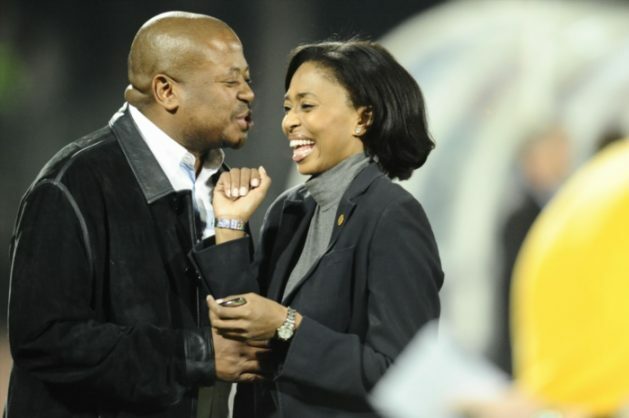 Everything was well until it was time for me and my driver to leave,” Motaung told the Sunday Sun. “When we were outside, four men approached us with guns and started shooting,” Motaung explained. “I was lucky to escape, but they robbed my driver of a watch, bag and also took his firearm. “I don’t know if this is connected with the three fake Hawks officials who were denied bail.